Hair grooming should not be a difficult task for you or your child. When the process of cleansing and styling is difficult it creates a very unpleasant experience for your child. This starts a cycle of your child not wanting to get their hair done. 2. Invest in a non sulfate shampoo and conditioner. Choose products close to natural. It is best to use products from the same product line. 3. Always do a regular conditioning treatment after each shampoo. Regular conditioner is when you apply the product, let it sit from 3 to 5 minutes and rinse out. 4. Blot hair with t-shirt material and not a towel. 5. After rinsing our your regular conditioner, with hair still soaking wet. 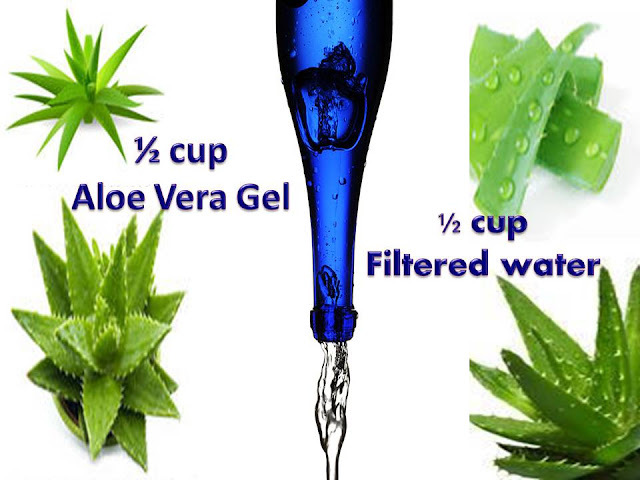 Do a final rinse with aloe vera water. This is 1/2 cup of aloe vera juice + 1/2 cup of filtered water, pour all of it over her hair and let it soak in. Leave on hair do not rinse off. 6. With hair still soaking wet from the aloe vera rinse, apply a leave in conditioner. 7. Purchase a leave in conditioner that contains a high amount of glycerin. Glycerin is a great humectant and it keeps the hair moisturized longer. 8. 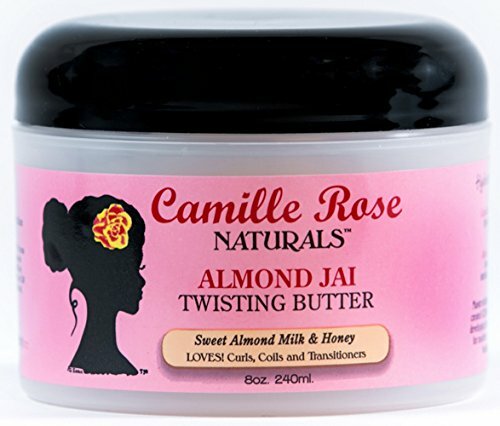 Always seal with either: avocado oil, castor oil or jojoba oil. 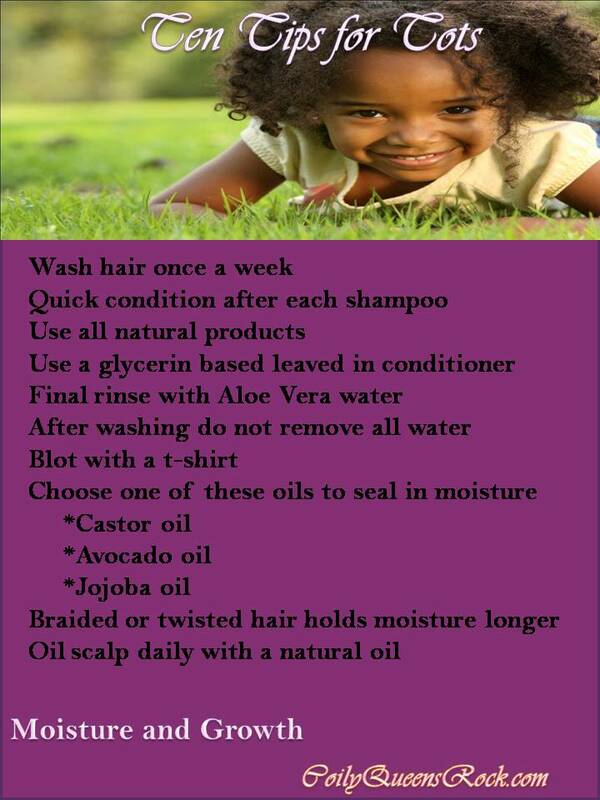 This will keep your hair moisturized longer. 9. Styling the hair in braids, twists or small ponytails will help the hair style moisturized longer.